Deep below the seas of Planet Nemos, a monstrous creature has come back to life with terrifying new robotic additions. Could the evil Siborg be responsible for this Robobeast? Max and Lia must stop him! 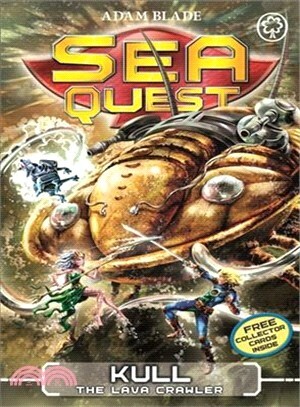 The third thrilling adventure in Sea Quest Series 6: Master of Aquora. Look out for Fliktor the Deadly Conqueror, Tengal the Savage Shark and Gulak the Gulper Eel!